The Korg Kronos 2 88 is a powerful, flagship keyboard from Korg's growing lineup of synthesizers and stage pianos. Kronos MK2 incorpora.. The Korg Kronos 2 88 is a powerful, flagship keyboard from Korg's growing lineup of synthesizers and stage pianos. 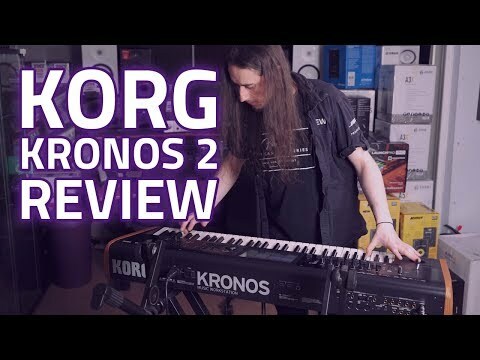 Kronos MK2 incorporates Korg's latest sound libraries, a powerful synthesis engine, premium Hammer Action weighted keybed and their most advanced Control Surface to date. As far as all-in-one Studio and Live workstations go, Korg Kronos MK2 is arguably the most all encompassing keyboard ever made. New Titan of the Keyboard World! 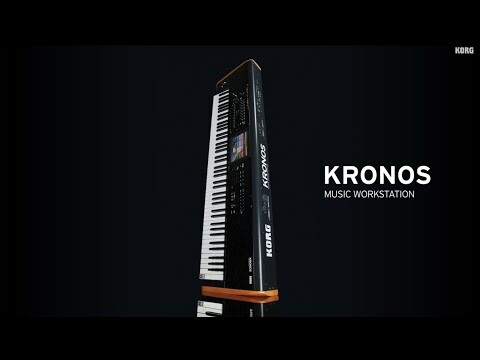 Each of the 9 individual KRONOS sound engines is eminently qualified to operate as a stand-alone synthesizer. And each one represents cutting edge technology that competes with some of the most revered Analogue and Digital Synths on the market. Ambitious Sound Designers will love the in-depth parameter control, real-time modulation, integrated effects and assignable routing options, all in-the-box. Kronos 2 Features over 21GB of preset waveform data covering all manner of genres and styles. An almost limitless library of sounds and patches are at your disposal - each meticulously designed by the dedicated Korg Sound Design Team. An Internal 62GB SSD Hard drive ensures there is plenty of space to expand your arsenal with your own custom patches or Korg Kronos Library expansions. Kronos 2 also features an enhanced SGX-2 Grand Piano Sound Engine - one of the most dynamic and realistic grand piano tones in the world today. Each key has been meticulously layered and recorded for perfectly natural decay and sustain. Other enhancements to the SGX-2 engine included Sympathetic String Resonance and newly-recorded Una Corda (soft pedal – literally “one-string”) samples. Throw in Korg Wavesequencing, MS-20 filtering and the rich Polysix Chorus, and you've got an enormous amount of processing power under the hood for sound design, music production and live performance. 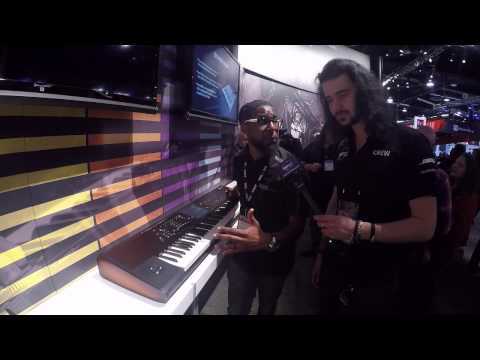 Kronos 2 features Korg's KARMA Technology (Kay Algorithmic Real-Time Music Architecture). KARMA is a powerful songwriting and live performance tool, producing an intuitive set of Arpeggiated phrases, loops and backing tracks that responds to the notes you play and controls you tweak, all in real time. The Second Generation of KARMA now includes Wave-Sequencing, Note Mapping and 8 scenes per layer. Combine this with Kronos' other Sequencer Composition Tools like Drum Tracks and Open Sampling and you'll understand why countless professional musicians choose KRONOS as the centrepiece of their music studio and live show. Korg's RH3 Real Weighted Hammer Action keybed provides a silky smooth, ultra-authentic piano response that rivals anything else on the market today. Live players and pro studio musicians will feel right at home on Kronos's full-size, 88-note keyboard. EXs Expansion Sample Series: Expansion libraries containing PCM Samples, Program, and Drumkit data. KRS Professional Sound Series: Libraries for assisting sound design and song production, containing Program, Combination, and Song data.